I receive a daily email from the website Interesting Literature. 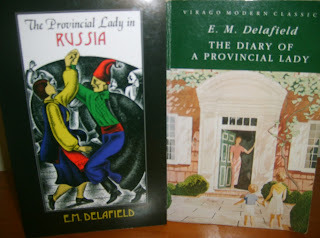 Five interesting things that happened on this day, five things you may not have known about a writer or a book. Last week, there was a post on their list of the ten war poems they think everyone should read. 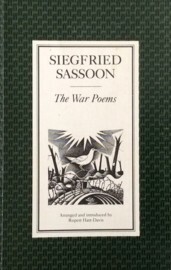 They limited it to WWI &, although there were several of my favourites in the list, there were also a few I didn't know, including this one, Dreamers, by Siegfried Sassoon. It's a quiet poem, with none of the rage that infuses his best-known work. I love the image of soldiers dreaming of home & normality while they're in the middle of the most horrendous, unnatural period of their lives. I'm not familiar with this, either, Lyn. It's good. I misread the last line as 'And going to the office in the rain.' Actually, I like that better! The poor souls had probably had enough rain if they survived the trenches! Although being in a train with the rain outside would be welcome. War poems and stories are so sad. Thank you for mentioning the Interesting Lit site. I had not heard of it. I will have to look up Charlotte Mews as I do not know of her. We share a birthday date, months and day anyway ☺I look forward to their mail outs. Charlotte Mew is very interesting although she had a sad life. Penelope Fitzgerald wrote a wonderful biography of her. Happy Birthday Pam!